The headline says it all but it bears repeating…what a week we had at Sage Summit 2012 at the Gaylord Opryland in Nashville! After a weekend at home sleeping, napping and sleeping some more to recover from the long days and nights of informative sessions, partner and customer networking, trade show demos, and great country music there’s finally time to reflect on a fabulous week. For me, Sage Summit began early on Sunday as a presenter in two separate all-day sessions, one for Sage 500 ERP channel partners to learn more about the total solution they can provide when using endorsed partner solutions, and one for Sage 100 ERP partners to prepare them for success with the upcoming Sage 100 ERP 2013 release. Both sessions had great participation with lively interaction between the attendees and the various presenters. Squeezed into my Sunday schedule were Product Advisory Council meetings for Sage 100 ERP and Sage 500 ERP with lively discussions on the Sage Innovation process. At 6pm the Trade Show and Welcome Reception opened, finding Sage staff meeting and greeting partners in the Sage booth. 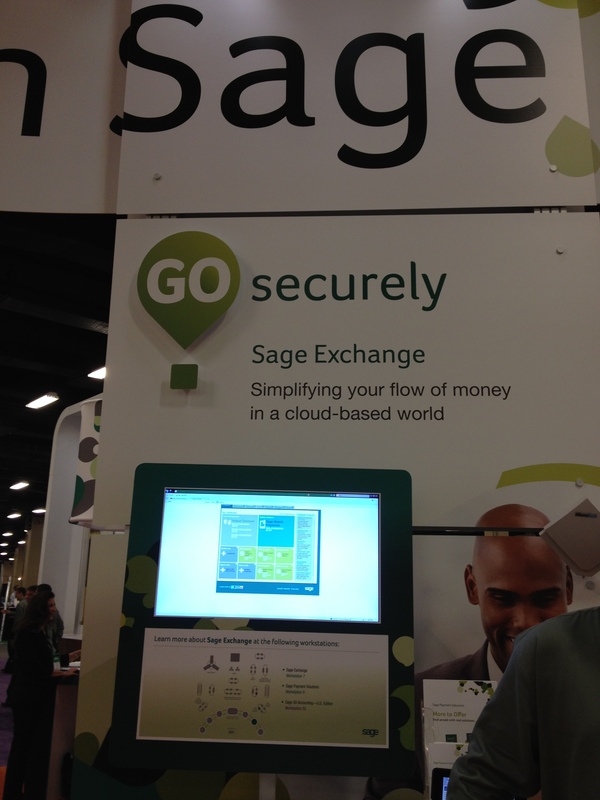 Everyone was eager to see the early versions of upcoming releases and to learn more about Sage Exchange. Sunday evening was spent at dinner at the always excellent Old Hickory Steakhouse in the Gaylord, followed by an evening at various venues within the hotel, catching up with some of my favorite channel partners. These interactions are always memorable and informative, and I come away energized knowing how much our partners care about the solutions they provide and the customers they serve. And who knew that Ed W. from Tampa was such a fan of Hank Williams, Sr.? Monday started off with a bang, literally, as a drum line kicked off the Opening Keynote with Pascal Houillon and his frank message to our channel. The session introduced a great video on the day in the life of a Sage customer and outlined the strategic vision for Sage. That was followed by a great session of Sage Product Strategies and the Impact on the ISV Ecosystem with some enlightening demos of mobile applications. A delicious lunch in the trade show area followed with more chances to catch up with partners and vendors in their booths. Next was the always packed Sage 100 ERP Road Ahead session for partners who were excited to hear about Sage Exchange integration, expanded AP invoice numbers, the ability to view cleared checks in vendor maintenance and much more. That was followed by two sessions on credit card processing and then back to the trade show for a reception and more networking. That evening the fabulous Partner Appreciation Party Sage Rocked the Block with three partner bands entertaining the exuberant and lively crowd. All of the bands were excellent and had the crowd dancing and singing along; with “Hair on Fire” edging out the others to earn the coveted slot as opening act for the next evening’s customer event. Next up was the fantastic networking event, Sage City, where all attendees had the opportunity to find and meet with like-minded individuals and share best practices, ideas, and solutions to business problems. The excitement in the room was electric, and the buzz was palpable. I repeatedly heard that this is a must-repeat event for next year. Tuesday evening was the time set apart for various after-parties in different venues. After a great BBQ dinner downtown with a group of long-time Sage 100 ERP partners (thanks again, Wayne!) we moseyed down the street to the Avalara party at Margaritaville. Much merriment ensued including line dancing to a live band and some costumed guests that brought lots of laughter. After a cab ride back to the hotel with more networking with customers from the Midwest, an X3 channel partner from England and a Sage 100 consultant from the OC, it was a quick sleep and, gee, it was Wednesday already! Wednesday started bright and early with a Sage 300 ERP customer hands-on session for Payment Processing in which Ian did an outstanding job of educating our customers with me as his Vanna White. After a quick lunch in the trade show area, another hands on session for Sage 100 ERP customers and credit card processing, followed by more networking time in the trade show area. A quick dash to my room to don jeans and my cowboy hat was followed by the Customer Appreciation Event – A Night at the Grand Ole Opry. The Opryland show started with the partner band “Hair on Fire” performing a medley of Beatles hits followed by a fantastic rendition of “Piano Man” complete with harmonica and outstanding piano riffs. Next up was Montgomery Gentry who rocked the house with their greatest hits, followed by Diamond Rio. This band was super, and took a photo of the crowd that they later pasted on Facebook and Twitter, to the delight of all attendees. 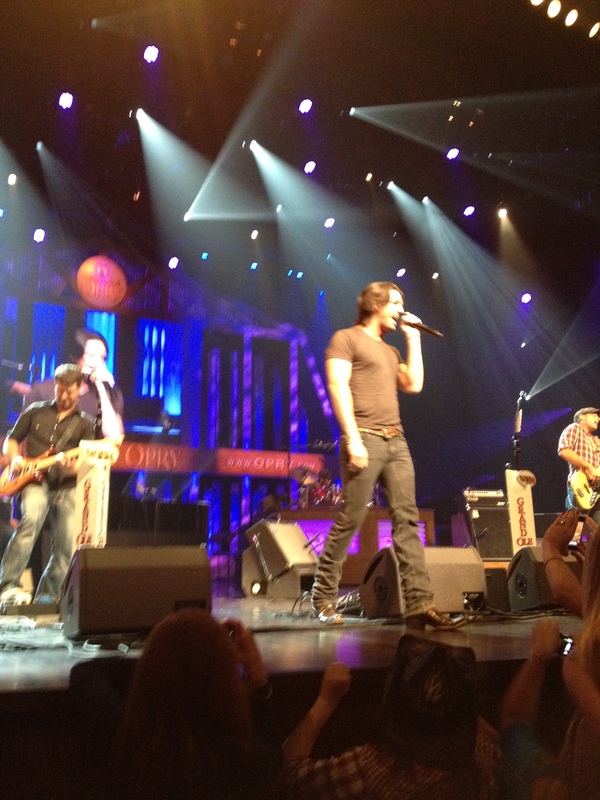 Next the breakout new artist, Jake Owen thrilled the crowd. Trace Adkins entertained even the non-country music fans in the crowd, especially wowing them with his hits “Songs About Me” and “Honky Tonk Bedonka Donk.” After the concert during the 5 minute walk back to the Gaylord Hotel I heard “Who knew I liked country music?” more times than I could count. This event was stellar in more ways than one and the Sage Events Team will have its work cut out for them to be able to top it next year, but I am confident they will rise to the occasion. Thursday started with a great group of attendees with a desire to “Understand PCI Compliance and What Failure to Comply Could Mean to Their Business” interacting with one another and the two Sage presenters, Sandra Horvath and me. Bottom line the message is clear…compliance is here to stay, it applies to everyone who takes credit cards and Sage has applications that can help you achieve compliance. After a final lunch in the Trade Show area, Sandra and I presented my favorite session of the conference; “Demystifying the Movement of Money – Understanding the Top 5 Business Practices that Drive Increased Cash Flow.” The interaction in this session was great; especially during the small group activity where attendees shared other things they had learned at the conference that could help their peers drive cash flow. Thursday night found me at yet another fun after-hours activity – the invitation-only party at the Wild Horse Saloon for Sage ERP customers who registered early and were lucky enough to win the drawing to get an invitation. This was a lively networking event and I especially enjoyed congratulating Russ Nobbs on his win of an iPad for entering his Sage Summit session evaluation. It’s great to know that one of my session attendees was the lucky winner! Laughing and hanging out with Russ and his wife as well as other customer advisory board members Lisa and Brad was a highlight of the event. And dressing up with a feather boa to appear in a special photo with my friends from Realized Financial Services still brings a smile. Friday found me packing up and heading out to the airport for my flight home, sad to leave Nashville and all of our great customers and partners. Despite being jam-packed, the week was way too short. 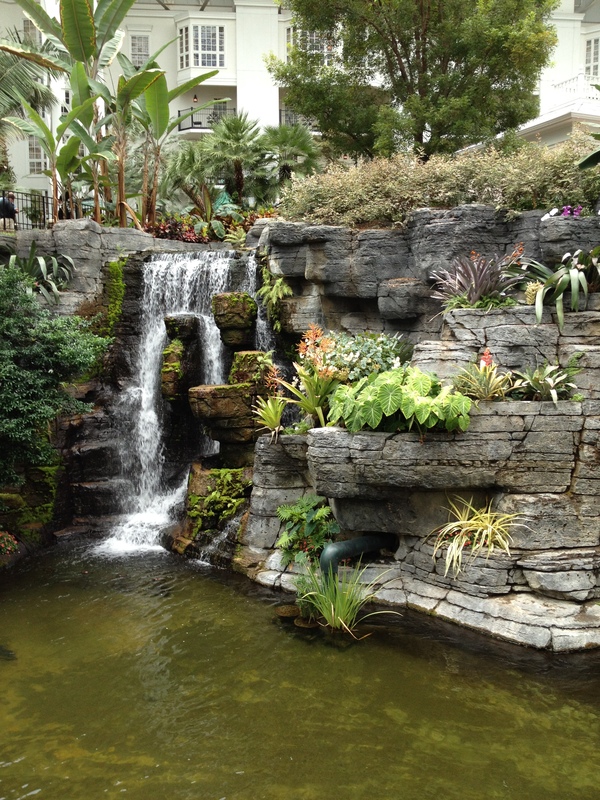 Mark your calendars now for Sage Summit 2013, July 21-26 at the Gaylord National in Washington, D.C. I’ll see you there! OK, I admit it. “My name is Erika and I am a Summer Olympics junkie.” The minute I hear the familiar “Da-da, da da da da da, dum-dum” of the Olympic Fanfare I’m hooked once again. I’m not sure when my love affair with the Olympics started, although my time as a competitive swimmer as a child probably had something to do with it. My volunteer stint with the Los Angeles Olympic Organizing Committee in 1984 confirmed my addiction and rooted it deeply within. So this week, with the NBC-TV trumpets blasting that familiar tune once again, I’m glued to the set to see what happens next, wishing I could be right there on site with the Today show’s Matt, Al, Meredith and Savannah interviewing the athletes, cheering them on and just absorbing the excitement, energy and pure joy that that event evokes. But duty calls and I must stay stateside, completing preparations for another exciting gathering, the annual Sage Summit conference. While the purpose of the Olympics is to promote sports and sportsmanship among the youth of all nations; the purpose of Sage Summit, the only gathering of its kind for owners and employees of small and mid-sized businesses, is to learn, network and gain actionable insights and practical ideas that will drive real business benefits for each of their organizations. The Olympic Creed reads: “The most important thing in the Olympic Games is not to win but to take part, just as the most important thing in life is not the triumph but the struggle. The essential thing is not to have conquered but to have fought well.” This is most certainly true in business life as it is in the rest of life. So take a few days as the London games conclude and join me and over 4,000 Sage customers, partners, employees and business experts to learn and share valuable and practical ways to solve business problems from those who have already walked in your shoes. If you haven’t attended before, I strongly recommend that this year you take the time away from work to make the trek to the fabulous Gaylord Opryland hotel in Nashville, TN. Sage channel partners are invited from August 12 – 14, and Sage customers are invited to attend from August 14-17. And when you see me, be sure to ask not only what my favorite Olympic moment was during this year’s event, but also which sessions are guaranteed to bring YOU a favorite Sage moment at Sage Summit. Next post: Remembering the technology of the 1984 Olympics – we’ve come a long way, baby!